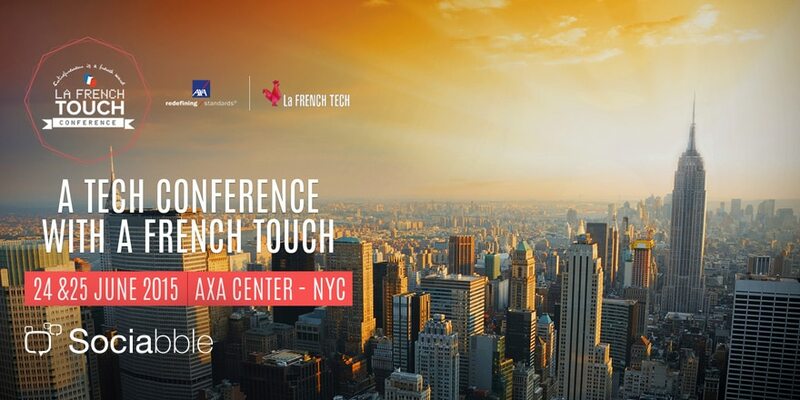 On Wednesday 24 and Thursday 25 June 2015, New York’s Axa Center will host the French Touch Conference. The event, which welcomes digital entrepreneurs and investors from France and the USA; explores the link between innovation, business, and creativity. 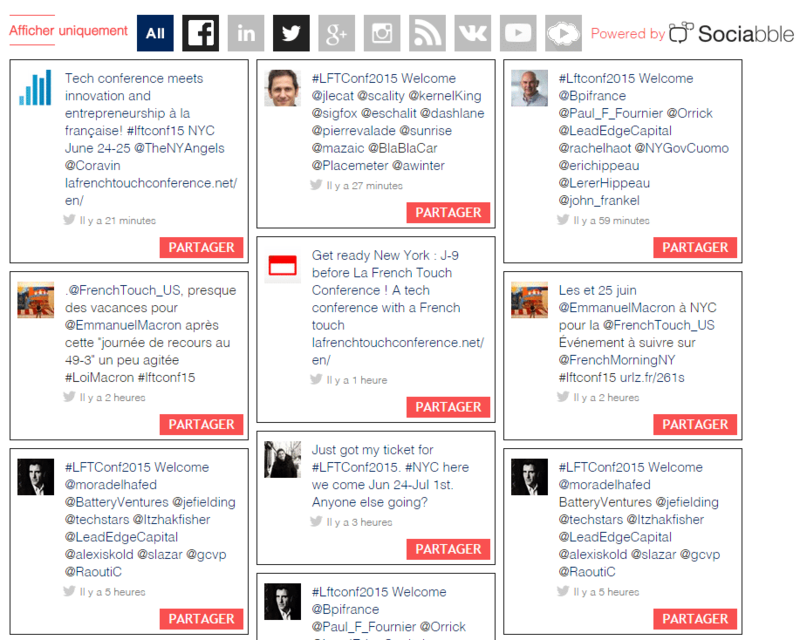 Thanks to a Social Wall embedded on the French Touch website; attendees and online audiences will be able to follow the conference. As well as engage with related content before, during, and after the event. Accessible on the French Touch website and displayed on large screens at the venue, the Social Wall aggregates content from event social network accounts and guest speaker feeds; displaying posts on a highly visual, self-refreshing interface. By allowing all website visitors to filter content according to social networks and share posts on any of their own accounts; the Social Wall boosts the visibility of the event by driving content sharing on social media directly from the French Touch website. The Social Wall is a public version of the Sociabble brand advocacy platform; which can be embedded on brand websites or accessed via a specific URL. Discover how the Social Wall has been used to amplify content by L’Oréal. Additionally by Microsoft TechDays, the most important IT event in Europe. Participants in the French Touch Conference also have the opportunity to sign up to a members-only Sociabble platform created especially for the event. Complete with gamification functionalities, this platform allows users not only to share content; but to win points through doing so. This is done by using a leaderboard to track their performance against that of their teammates. For top advocates, we will announce a surprise at the end of the event. Responsive, innovative, and designed with audience engagement in mind; the Sociabble platforms launching as part of the French Touch Conference, are a perfect illustration of what the event itself is all about. Read more about how the Sociabble brand advocacy solutions enhance the event experience.